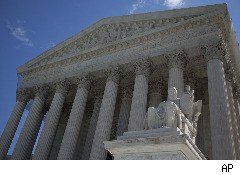 Cutting Big Pharma Some Slack: The Supreme Court continues to rule in favor of corporations over the rights of individuals -- on Thursday, it was drug companies' turn, with a cameo by data-mining firms. First, in Pliva v. Mensing, the Court ruled 5-4 that generic drugmakers "may not be sued under state law for failing to warn customers about the risks associated with their products." Three-quarters of all prescriptions are filled with generics. Two years ago, the court reached the opposite conclusion with respect to brand-name drugs; the companies that manufacture generics, however, have less control over the printing of their own labels, leading the court to exempt them from responsibility. A second case, Sorrell v. IMS Health, turned on a Vermont law that banned a practice called "detailing," whereby drug companies use prescription information obtained from data-mining companies to market medicines to particular doctors. Vermont had sought to outlaw detailing while allowing other uses of prescription data by law enforcement, insurance companies and journalists. In a 6-3 ruling, the majority "said the case presented fundamental First Amendment issues because it restricted the use of truthful information in private hands based on the identity of the speaker and the content of its speech." The dissenters pointed out the difference between private and commercial speech, to no avail. Google Under the Gun: Speaking of the vaunted halls of justice, Google (GOOG) finds itself dragged there by an antitrust investigation. In a blog post published Friday morning, the company confirmed a Federal Trade Commission probe into possible anticompetitive practices. Google did not go into specifics -- claiming "it's still unclear exactly what the FTC's concerns are" -- but portrayed itself as concerned above all else with the user experience, and touted its success in creating economic opportunity. The AP reports that "the inquiry is expected to focus in large part on whether Google abuses its dominance of Internet search to extend its influence into other lucrative online markets, such as mapping, comparison shopping and travel." Competitors contend that Google's algorithms are designed to direct users "to its own sites and services" and to "bury links to competitors." There seems to be a hint of Google's defense strategy in the blog post, which declares, "Using Google is a choice -- and there are lots of other choices available to you for getting information." Whether that argument will wash with the FTC -- or the European Commission, or the attorneys general of the states of New York, California, Texas, Ohio, and Oklahoma, all of whom are said to be considering investigations of their own -- remains to be seen. Eurozone Unites Behind Greece: As though responding to U.S. Treasury Secretary Timothy Geithner's call for greater solidarity in their ranks, European Union leaders pledged to prevent a Greek debt default provided the country's Parliament passes austerity measures next week. The perceived lack of resolution among eurozone members has been cited as a threat to the world economy by officials in the U.S. and China. Now, German Chancellor Angela Merkel, leader of Europe's chief economic powerhouse, has committed the continent to doing "everything to stabilize the euro overall." European bankers also considered ways of getting around ratings agencies' stated intention to treat any rollover of Greek debt as a default.